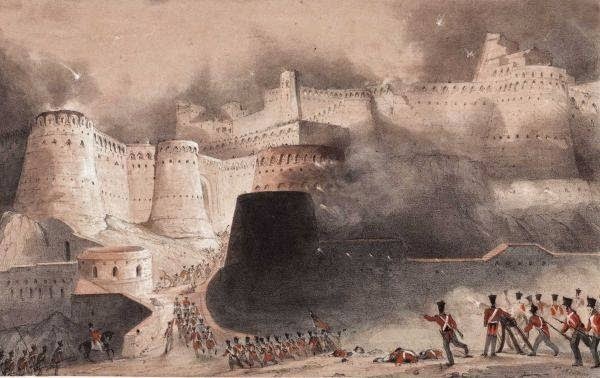 The British-Indian Army of the Indus storming the fortified city of Ghazni in Afghanistan. The war is the subject of "Return of a King: The Battle for Afghanistan, 1839-1842" by William Dalrymple (Knopf, April 2013). Photo Credit: National Army Museum.